Imagine sitting on your patio with a glass of wine in hand and fresh mahi mahi waiting for you, prepared by your private cook, who you pay $48 a week to make all your meals (add to that cleaning costs at $20 a week for two days’ work). You gaze at the endless sea and talk about the snow you used to shovel and the months you had to wait for the crocuses and daffodils to appear, the days you spent inside because it was too cold to go out. Now brilliant, colorful flowers adorn your home all year. The crash of the waves lull you to sleep at night. You never dreamed a retirement could be so luxurious, peaceful, and beautiful. But you can have all this on a 20-mile strip of Pacific coast with pristine ocean and beaches that’s set to be an up-and-coming retirement hotspot. 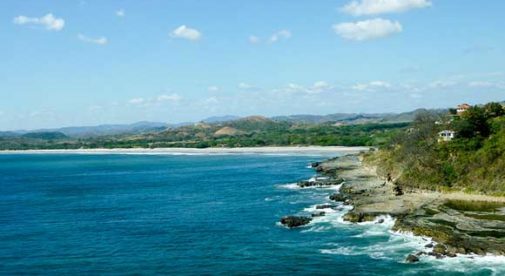 It’s called the Emerald Coast in Nicaragua, and driving down the road of this coastline, I was a bit puzzled as to its name. The well-maintained dirt road goes on for miles and is flanked by sub-tropical forest on both sides. I had heard about incredible beach views but I didn’t see any…just a long road that included beaches called Manzanillo, Redonda, Gigante, Iguana, and Santana, to name a few. But once I turned left toward the beach, drove about two miles and arrived at my destination, I immediately saw what people were talking about…the most stunning ocean views I’ve ever seen. Crashing azure green waves, craggy bays, the sun sparkling passionately over rocky or sandy shores…this was the Emerald Coast. Retirees are just starting to discover this area. It has been considered the “cool” place to go because of the great surfing opportunities but now many resorts also dot the coast. These resorts provide much more than fantastic vacation locations: they’re ushering in a new concept in this country—resort communities. 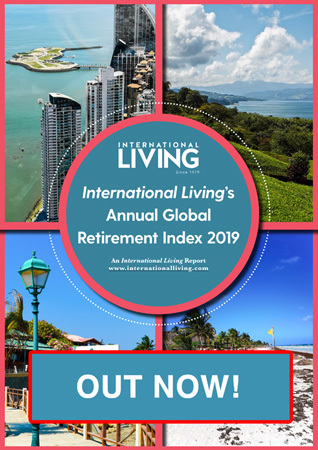 They offer a luxury lifestyle for those who would like to retire with dynamic ocean views and the amenities of a vacation resort. At one such resort you can purchase a lot big enough for a mansion, buy a smaller garden home, or even an ocean-view casita, depending on your budget. Most come fully furnished. Home sites range in price from $100,000 to $595,000, depending on size, location, and view. Whatever you buy compares favorably to something you might own in California, which would cost 10 times more. And when you live at one of these resort communities, all the amenities are yours too…miles of hiking trails…private beaches… gorgeous pools, and more. A sure sign that development here is on the up is the opening of an airport for small planes from the capital city and cities in neighboring countries. Next year, the landing strip will accommodate commercial planes, opening up a way for potential retirees to land right at the beach. Living on this coast is a beach-lovers dream…there are beaches where international surfing competitions are regularly held. The nearest “big city” to this stretch of coast is Rivas and is about a half hour to 45 minutes away. Rivas offers a colorful market, modern supermarkets, and appliance and variety stores where you can purchase almost anything you need. And you can be sure that all sorts of businesses will start popping up in this area to support what is becoming the hottest place to live and visit. As this area grows in popularity, so will its prices. Now is the time to take a look at this up-and-coming retirement hotspot.